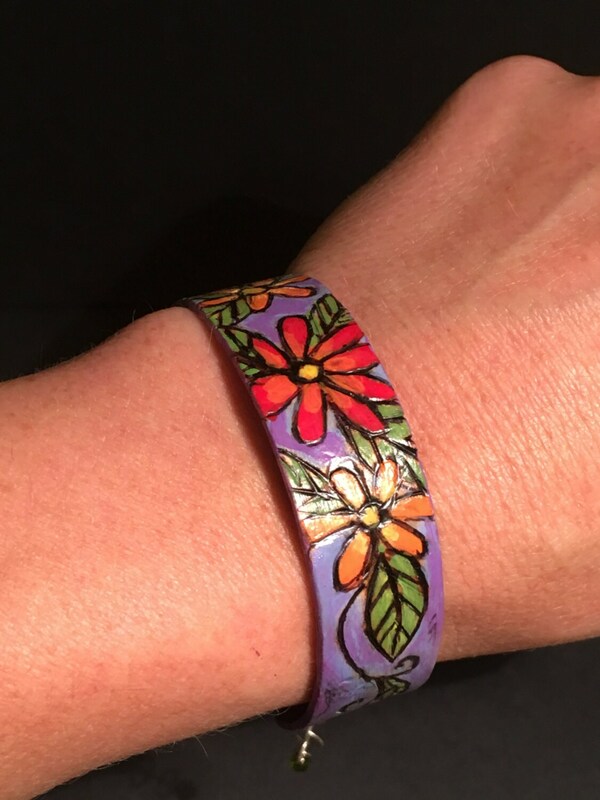 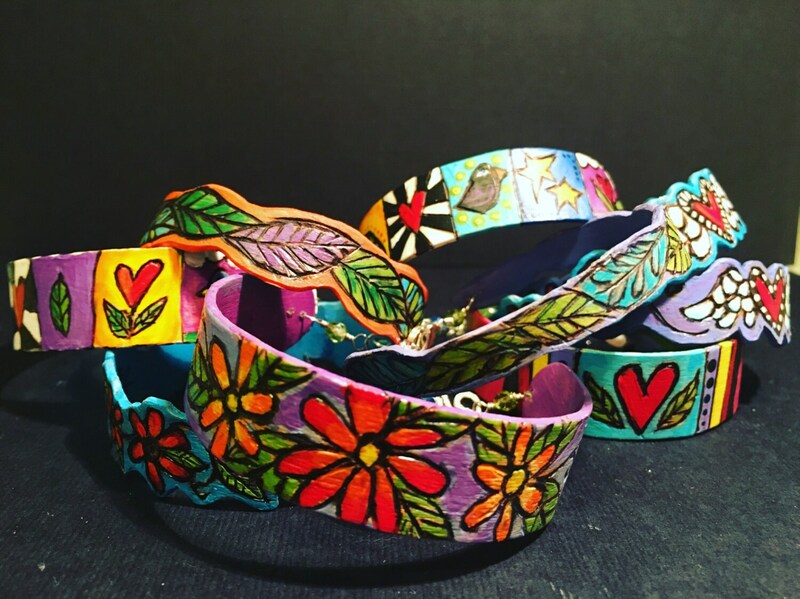 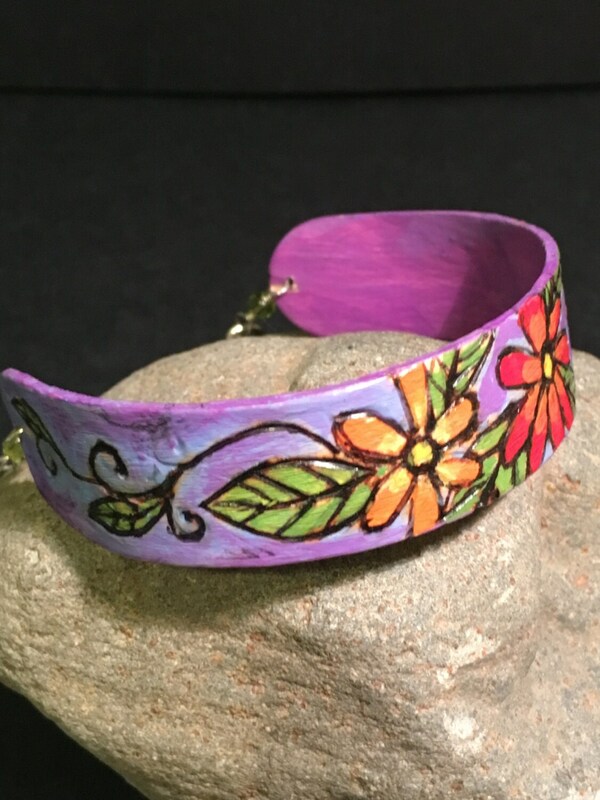 Bracelet "When I Dream, I Dream of Flowers"
This beautiful wooden bracelet was hand formed, then woodburned and painted with an original flower design. 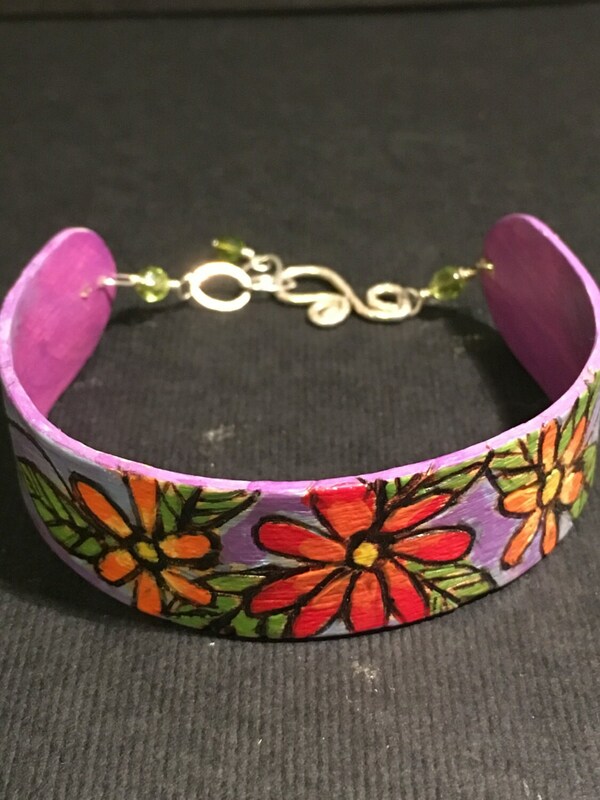 This bracelet has approximately 2 inches in with at the opening and adjusts to approximately 7 1/2 inches. 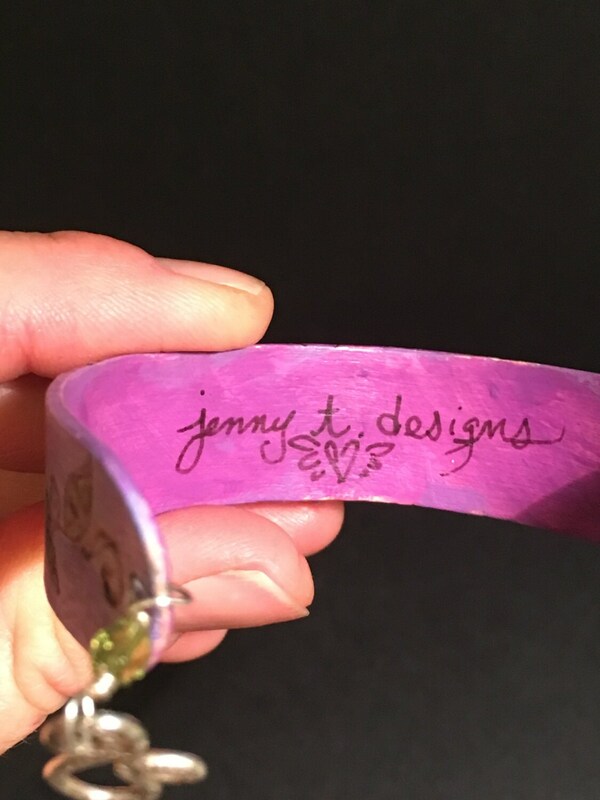 Jewelry comes with a handwritten description card and a box.